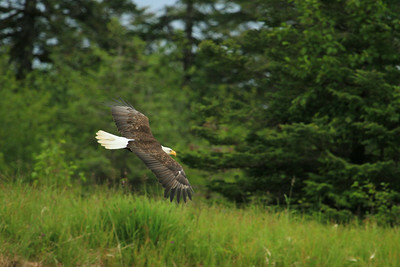 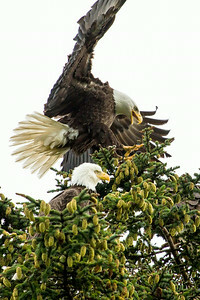 A Bald Eagle soars over Monti Bay, Yakutat, Alaska as Mt. 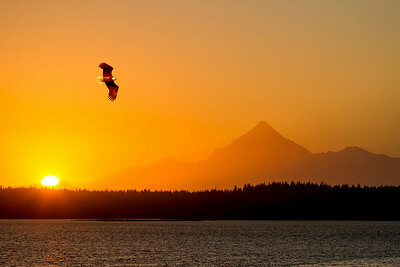 St. Elias (18,008 ft.) provides a majestic backdrop at sunset from the deck at the Blue Heron Inn. 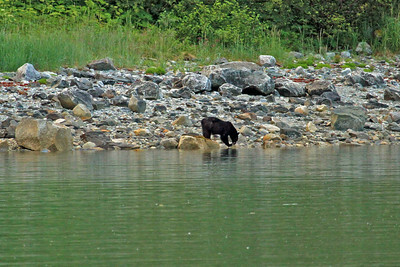 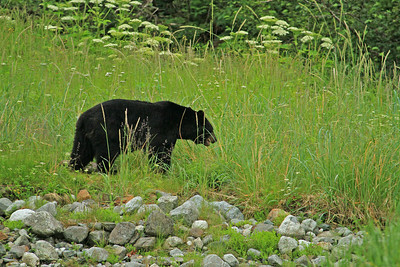 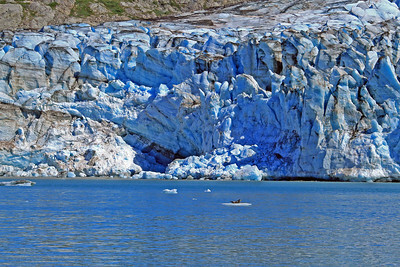 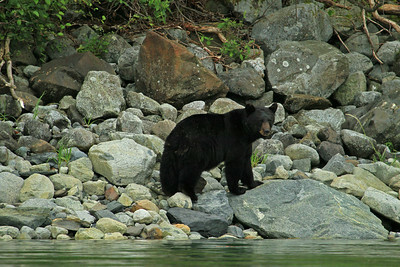 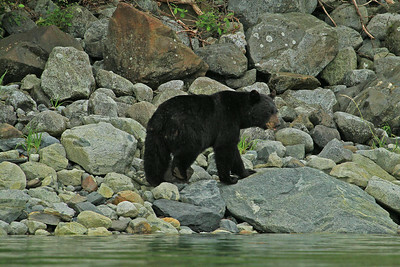 Black bear patrols the shore of Hugh Miller Inlet in Glacier Bay National Park searching for fresh shell fish. 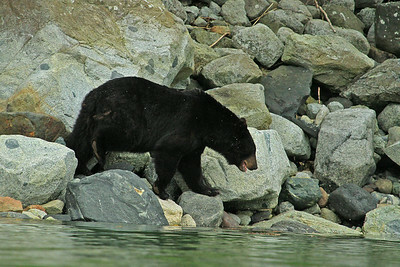 Black bear snacks on some shell fish along the shore of Hugh Miller Inlet in Glacier Bay National Park. 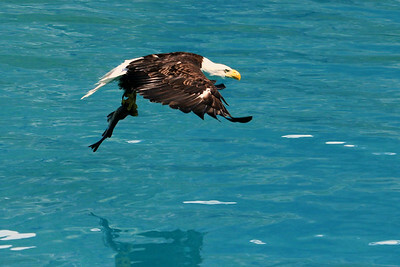 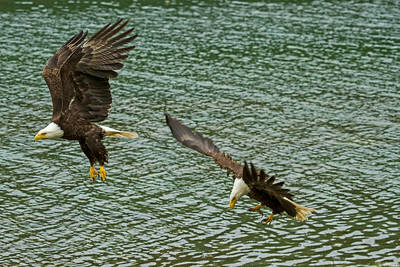 Bald Eagle takes off with an afternoon snack in Glacier Bay National Park. 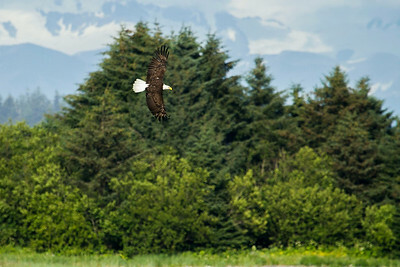 A bald eagle cruises and searches for a meal along the Situk River in Yakutat, Alaska. 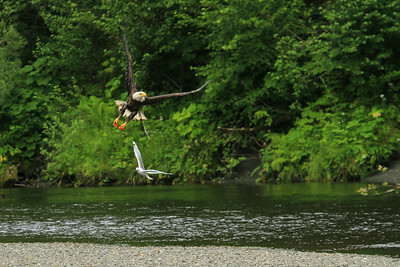 A bald eagle fishes along the Situk River in Yakutat, Alaska. 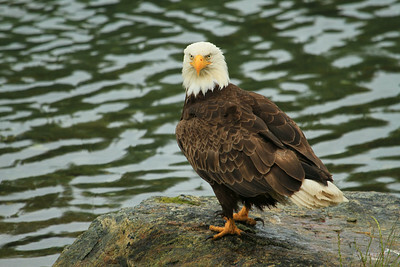 A bald eagle stares into the camera lens, seeming to ask, "You want me to do what?" 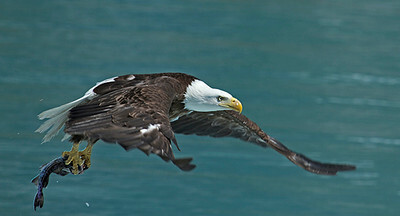 It's not hard to image where the expression "Eagle-eyed" came from. 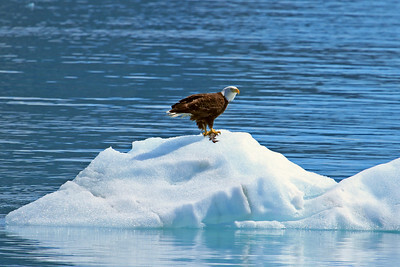 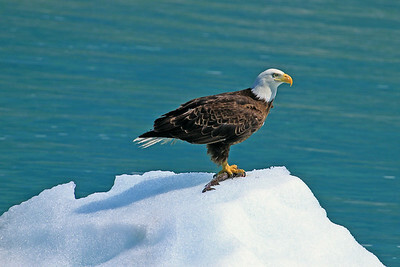 A bald eagle banks in front of the Wrangell/Saint Elias Mountain Range in Yakutat, Alaska. 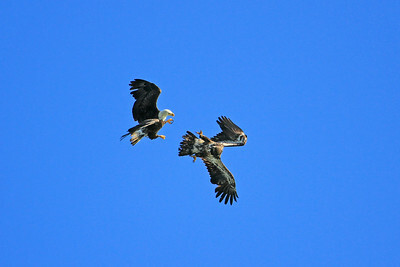 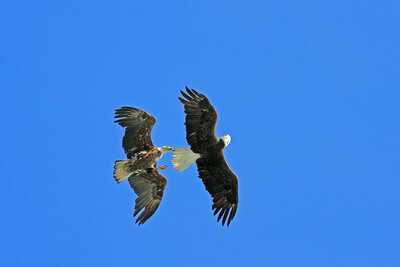 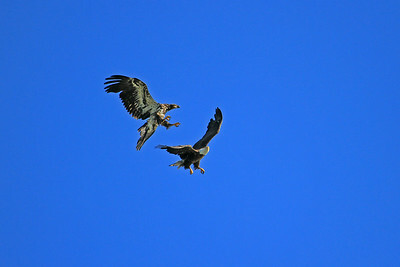 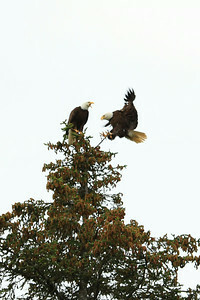 Eagles spar ? 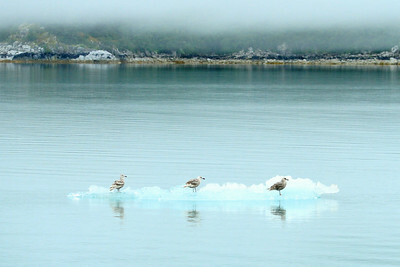 Or dance ? 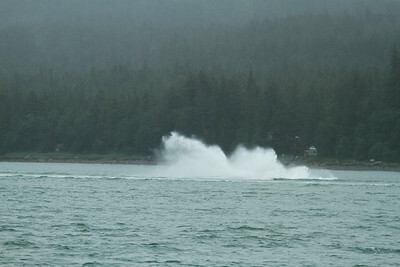 Wow, that was a lulu !! 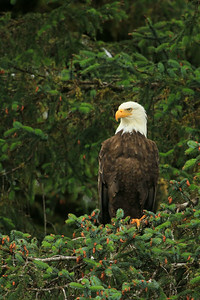 A noble bald eagle keeps a sharp eye out for a meal. 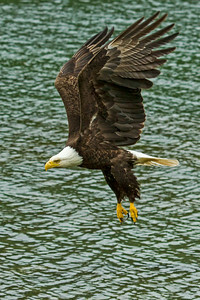 Bald Eagle lifts off and displays its spectacular plumage. 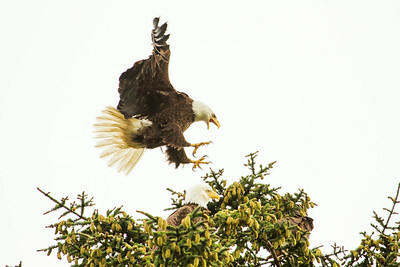 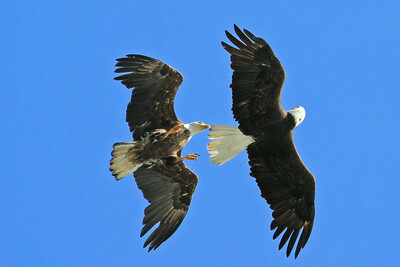 Bald Eagles lift off, displaying spectacular plumage. 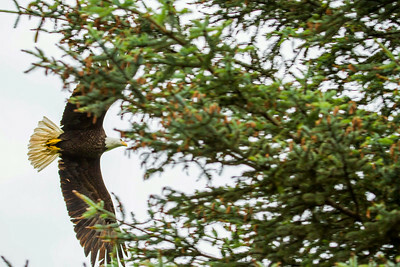 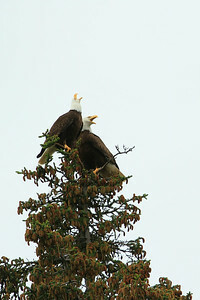 A beautiful contrast between the bald eagle's plumage and the spruce's foliage. 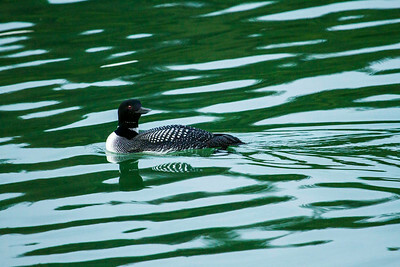 Loon paddles the waters of Hugh Miller Inlet in Glacier Bay National Park showing off its spectacular plumage. 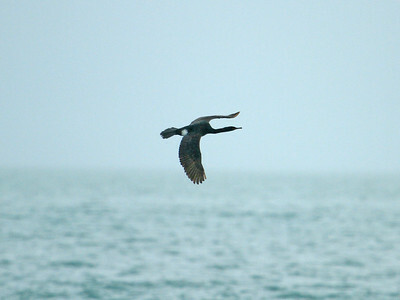 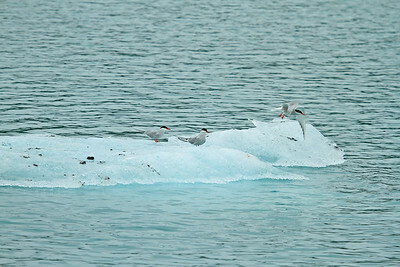 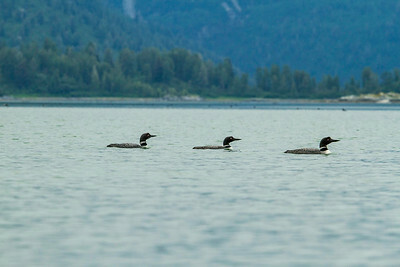 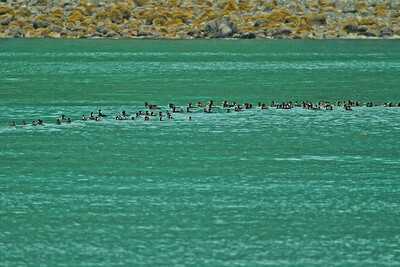 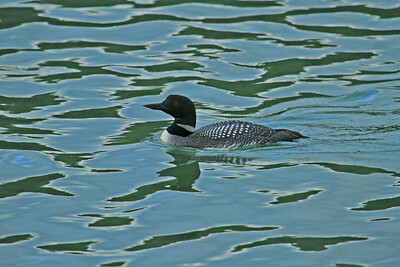 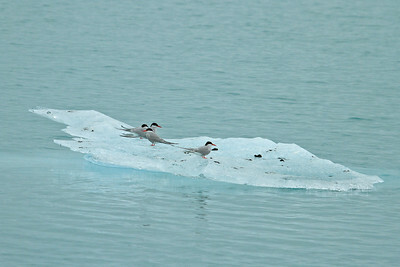 Loon paddles the waters of Hugh Miller Inlet in Glacier Bay National Parkshowing off its spectacular plumage. 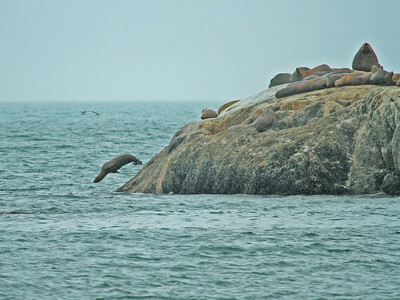 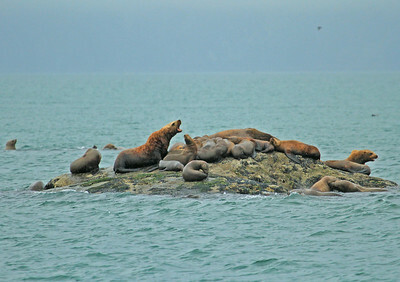 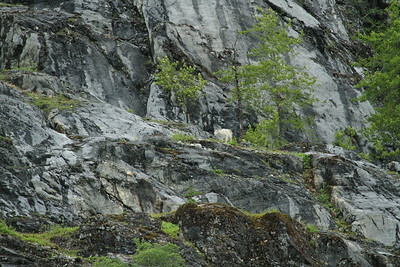 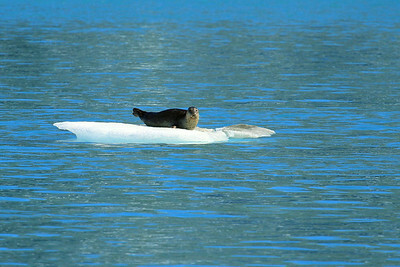 Mountain Goat traverses a ledge high above the waters of Glacier Bay National Park near Gloomy Knob. 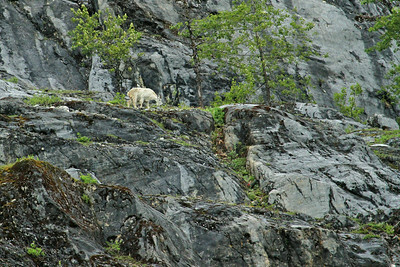 Mountain Goat and kid traverse a ledge high above the waters of Glacier Bay National Park near Gloomy Knob. 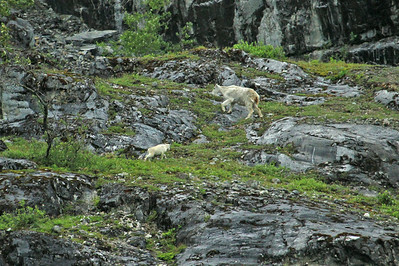 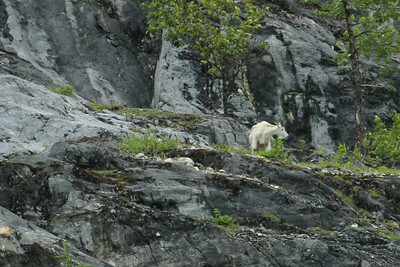 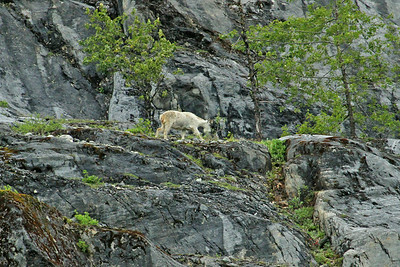 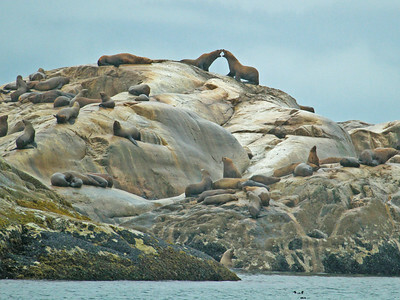 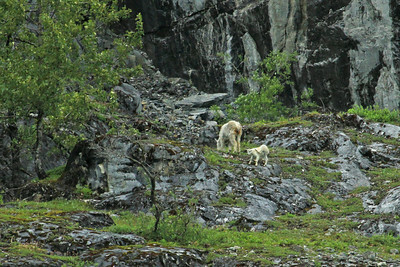 Mountain Goat and kid graze on a ledge high above the waters of Glacier Bay National Park near Gloomy Knob.